For the French indie band see Nelson. (with a dot). For the UK singer-songwriters see The Nelson Brothers. www.nelsonbrothers.co.uk There is more than one artist with this name: 1) Nelson is a melodic rock band founded by Matthew and Gunnar Nelson (the twin sons of Ricky Nelson.) They had a No. 1 hit in the United States with "(Can't Live Without Your) Love and Affection" during the week of September 29, 1990. 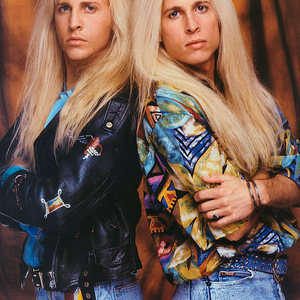 1) Nelson is a melodic rock band founded by Matthew and Gunnar Nelson (the twin sons of Ricky Nelson.) They had a No. 1 hit in the United States with "(Can't Live Without Your) Love and Affection" during the week of September 29, 1990. They are listed in the Guinness Book of World Records as the only family to reach number one record status in three successive generations (beginning with grandparents Ozzie and Harriet Nelson). The band split with Geffen Records record label after 1995, but they have continued to produce and release albums independently under their label, Stone Canyon Records. However, they have yet to revisit the level of success they experienced during their 1990 debut. 2) Nelson (formerly known as Lord Nelson) has been a fixture on the Carribean music scene for decades. He was one of the key calypso artists, later mutating into soca, the more upbeat version of calypso. 3) The French "Nelson." , based in Paris, released their EP "Bangkok Riot" and are working on their full length debut album. The band tours extensively across Europe. 4) Nelson (born in 1986) is an American R&B singer. He is currently signed to Bad Boy Records as of 2006. And is cited as "The Prince of Badboy". His talent and performance are in the company of Alicia Keys and John Legend. His instruments of choice are lyric, melody, and acoustic guitar. This twenty-year old native of the Bronx, New York and one of P. Diddy's newest signings continues the legacy of great performing artists. ?He's prolific?way beyond his years,? Mark Pitts, President of Urban Music, Zomba Music Group..
5) Northern Irish trance music producer Robert Frederick Nelson, better known as Agnelli & Nelson (with Christoper James Agnew/Agnelli), who are notable for helping to define the genre of trance music since 1997. Their hits 'El Ni?o' and 'Everyday' have become trance classics, and they've done countless remixes, from Armin van Buuren to U2. 6) UK Singer-Songwriters The Nelson Brothers. From the English mid - lands to the Arizona desert, Sydney Harbour to Amsterdam's ?Jordaan', Bermuda to the Isle of Dogs, the Nelson Brothers have roamed the world writing, performing and rubbing shoulders with the great and good. Raised on a diet of country, blues and jazz, the Nelson's ?apprenticeship' culminated in an album of Critically acclaimed original songs, ?Hometown' (Round Tower Records, 1993).